A short time after the dwarves march off to fend for themselves, the group lead by the King hear someone approach. It is a small dwarf named Poggin. He still believes in Aslan, he's still on Aslan's side. This lifts the spirits of the others and renews hope. 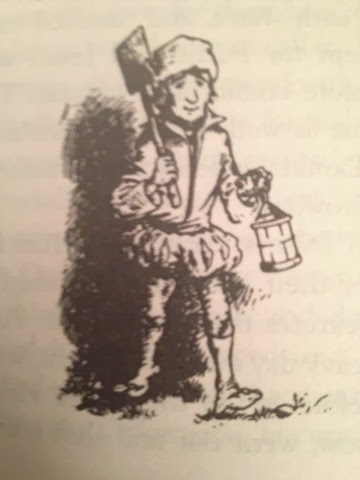 This little dwarf had been among the deceived. He could have continued on with the others, rejecting Aslan and anything to do with Him. Poggin is helpful to others in the group, finding and cooking food for them, serving them. The King finds a dwarf-sized outfit for Poggin - mail shirt, helmet, shield, sword, belt, and dagger…the whole armor of Christ. He remains a faithful component of the group through the end and enters into Aslan's rest. Later in the story there is one Calormene, a man, who proves by his deeds that he is "worthy of a better God than Tash." He has been faithful to Tash his whole life, and taught to hate Aslan and the world of Narnia. At the camp, where the shrine of Tash stood (formerly the stable that housed "Aslan", or Puzzle the Donkey disguised as Aslan), this Calormene man became disheartened when others began saying that Aslan and Tash were one. He wanted to know for himself, and to meet the god he worshiped and know more of him. He enters and the wicked guard placed there to kill all who enter attacks Emeth, who kills the guard (a mocker of the true Tash, says Emeth). It is beautiful inside, and he meets a lion, Aslan. He falls at the Lion's feet and thinks he will be killed for he reasons that the Lion will know that he has served Tash his whole life. Aslan kisses Emeth on his forehead and says "Son, thou art welcome…all the service thou has done to Tash, I account as service done to me….if any man swear by Tash and keep his oath for the oath's sake, it is by me that he has truly sworn, though he know it not, and it is I who reward him. And if any man do a cruelty in my name, then, though he says the name Aslan, it is Tash whom he serves and by Tash his deed is accepted. Does thou understand Child?" Emeth, still not fully accepting of Aslan's love, replies "Yet I have been seeking Tash all my days." Aslan then says "unless thy desire had been for me thou wouldst not have sought so long and so truly. For all find what they truly seek." So it is. Many in these stories of Narnia are seduced by evil, choosing evil over good. They see the power in evil and become intoxicated by it. Many of us fall into the same traps. Many of us are also born into different camps in this world, some evil, some neutral, some good, some more spiritually inclined than others (Telmarines, Dwarves, Calormenes, our own cultures, our own families), but that doesn't mean we are stuck there forever or that those groups are right in their beliefs and practices. We must be careful not to base our lives and faith entirely on the collective aspirations, goals, or traditions of the group in which we find ourselves. We can switch sides, strike out on our own and find truth. Think of how often this takes place in the scriptures…Joseph, Abraham, Christ, Lehi, Alma, Abinadi, Jaredites. We too can wake up and switch sides, choosing Aslan over his enemies, over Tash. 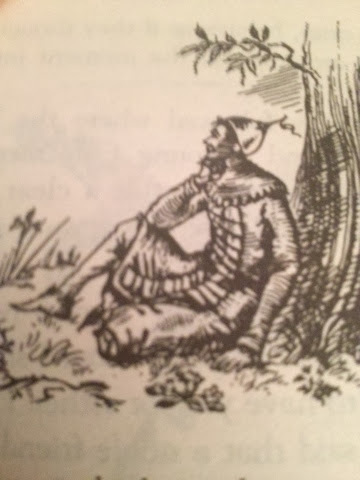 Very few make that choice in these Narnian legends, only about six characters are able to have the insight, muster the strength, and have the faith to choose a better ways for themselves…out of probably millions of Narnians. These few Narnians recognized who their true master is. It was not the group to which they belonged. It was not the traditions to which they held. It was Aslan. They realized they were serving the wrong master, which was themselves, which was really Tash or satan. They realized they had been deceived by satan as well as by their fallen and sinful natures. We all have to decide who our true master is…is it Christ or satan? No one can be neutral (as that is really choosing the latter option). If our heart is in the right place, and we are seeking for the truth, even if we are deceived along the way and perhaps even lead to do horrible things, we can eventually be lead to Christ. He will find us. On a related note, what of the fate of Puzzle the Donkey? Well, he reappears near the end of the story. After the group (the good guys) meet Emeth and learn his story, Puzzle comes trotting up. He is now described as a "graceful creature…all silvery-gray. He was himself now: a beautiful donkey with such a soft, gray coat and such a gentle, honest face". He had come through the door (of the stable/shrine) with all the other animals at the end. But he had been laying low for a while, staying out of the way, out of Aslan's way. After seeing the real Aslan, he was so ashamed of dressing up in a lion's skin that he didn't even know how to look anyone in the face. He was worried about meeting the real Aslan face-to-face. Well, at the very end, when Aslan comes and calls forth the righteous into eternal life, guess who He calls to His side first? That's right, Puzzle the Donkey. 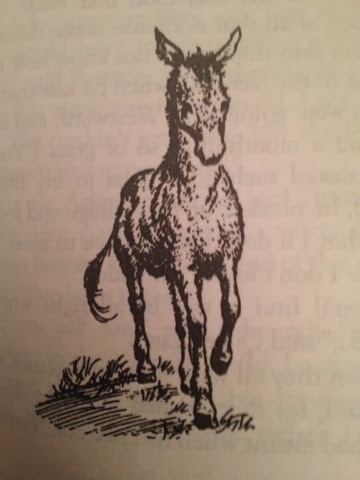 "You never saw a donkey look feebler and sillier than Puzzle did as he walked up to Aslan, and he looked, beside Aslan, as small as a kitten looks beside a St. Bernard. The Lion bowed down His head and whispered something to Puzzle at which his long ears went down, but then he said something else at which his ears perked up again." Those who are deceived into doing the bidding of the evil one can be redeemed and exalted, depending on their humility and the intents and desires of their heart. Oh the great and wondrous designs of our Father in Heaven! It is glorious to contemplate the great things he does for His children. How he blesses them, despite their wickedness and wrong choices if they repent! Oh what grace and mercy and love! He is love!